If you are still considering whether to get an accounting software, read on to find out the 10 advantages an accounting system provides for your business. Will you be convinced you to get one? 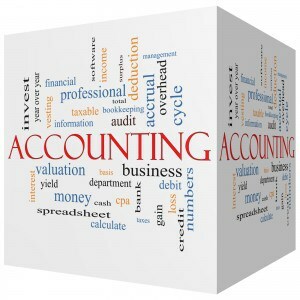 In a nutshell, an accounting computerized accounting package programmed to ease accounting tasks in small to medium enterprises. It allows employees to capture transactions in real time. Automation makes it ideal for the more complex calculations done periodically to establish business performance. 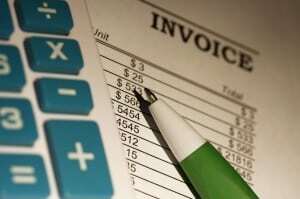 A modern accounting program is able to handle a host of accounting related requirements including calculating monthly financials , tracking your payments and updating your expenses. The program can adjust your inventory as you buy and sell goods so that your stock records are always up to date and reliable. It can invoice your customers and construct a master debtors and creditors list with all the relevant contact information. It also aids your business file Goods and Services Tax (GST) and yearly tax returns in time. The tool does the detailed analysis before processing GST returns for your business. The accounting and bookeeping software has a user friendly interface with explicit data entry points and inbuilt databases for capturing on stock records, customer details and supplies information. Automating the accounting process eliminates manual data processing, saving valuable time which the business owners can utilize to concentrate on the core functions. With automatic records updating functions, accounting data resulting from transactions undergo automatic updates just as are associated account balances. As a business owner, you will thus have the most recent accounting records reflecting the true financial position of your enterprise. The instant report processing feature makes reports processing and preparation automatic and instant. For this, producing sales analysis, tax returns, invoices and payroll reports is less tasking since a simple button click initializes software to produce customized reports. As such, financial records and related data can be availed to different users instantly and in different locations. Users can view or download the records and data via the system. Business records are thus kept synchronized at all times. Accounting software eliminates manual data entries and manual bookkeeping processes. Since only a single entry is required to record each transaction data, there is lower possibility for making errors even for complex calculations synonymous with accounting. The resultant financial records are thus more accurate. The program enable you to input the transaction in one account and the system automatically does the double entry, saving you time and enhancing accuracy. Payments are processed and monthend bank reconciliation statements are prepared. By checking the sequence on invoices and purchase order numbers, this computerized invoice billing features can ensure that there are no duplicate customer invoices or purchase orders generated. This avoids the possibility of overstating the revenue and ordering too many goods, overstocking and making duplicate payments to creditors. With the innovative reporting tools, business owners can know their best selling products and top sales customers, thereby devising strategies to focus on these products and customers. Some accounting software have a payroll software module inbuilt to manage your entire payroll. This takes away the need for you to spend countless hours writing up salary slips and taking note of every employee’s sick leave and holiday pay. Your accounting software will be able to keep your employee payroll records running smoothly and produce correct salary payment slips come payday. In short, the tool avails accurate information concerning employee’s payment. As a business owner, you will have details of salary costs of your different employees, coupled with revenue information which the staff brings, you can have a rough gauge of the productivity of each employee. One of the challenges faced by small business is that many petty expenses go unnoticed or simply are not recorded. These petty expenses, though small, tend to accumulate over time and may create a big unreconciled item for the balance of your accounts. If you ignore these, it can become crucial when it comes to paying taxes, as non-record of these expenses mean that they are non-deductible. But with the detailed and granularity recording of each individual transaction by using the easy accounting software, you can plug every lose hole and save cost in the long run. Given that there is proper tracking of your transactions, especially the purchase transactions and outgoing payments, the flow of the business is recorded. With a log history, changes made to accounting records are recorded that includes the user who made the change, time of amendment and the details of the revision. This helps in strengthening the internal controls of the firm. This intangible benefit is not obvious at first. An automated software makes keeping your accounts easier and more complete when you input data in a computerized environment. Your staff will have less accounting burdens to attend to with less manual and repetitive work. They can be tasked to do more other important tasks in the company. This job enhancement increases their self-worth and motivation which makes them more engaged to the company. One easy and popular accounting software is the MYOB. Incorporating many of the above-mentioned powerful features, the price you pay for the MYOB software is definitely worth the benefits that you reap from using it. Ascend Edge is an authorized reseller and professional MYOB accountant; we can advise you on the most suitable product to serve your company’s need, especially if you are a small business running on a tight budget. We also provide consultation on the government grant application when you purchase the program from us. Find out more today!